E-type Tuning & Prep for Competition. 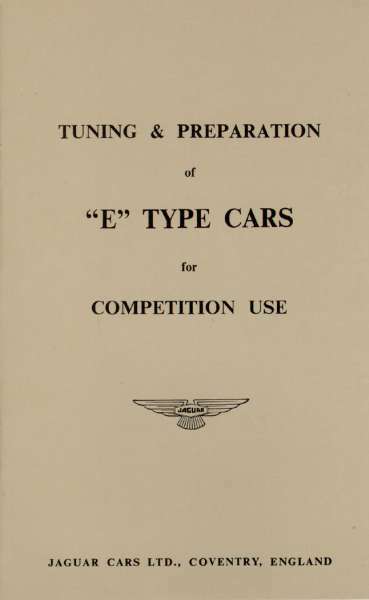 Official Jaguar booklet on how to improve performance for racing. 24 pages, illus.